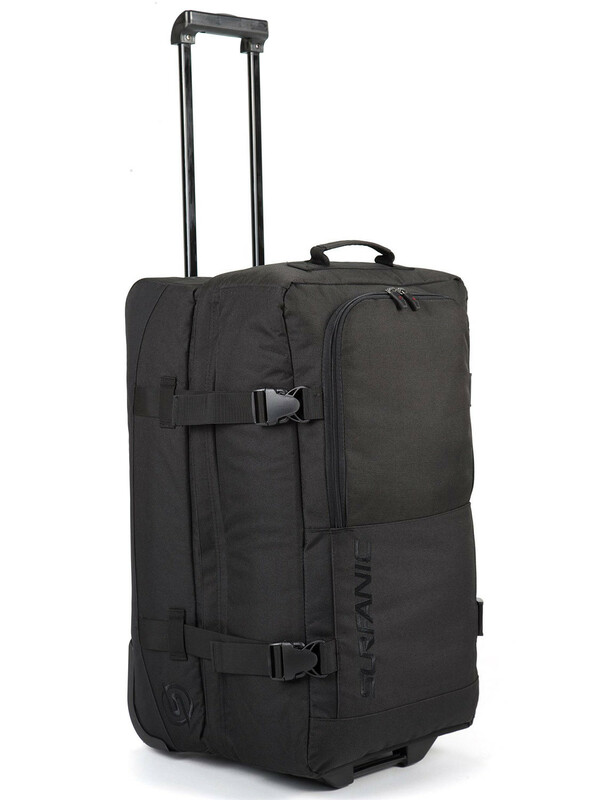 Weighing in at just 3.6kg, the Surfanic Maxim 70 Litre roller bag is great addition to the Maxim range, and perfect for a week away. Sharing the best features of the Maxim 100 Litre bag, this 70 Litre variation includes side compression straps, to compress right down to secure your load. Pack with ease thanks to the split level design, and prevent your gear looking like you slept in it. Built to last, the Maxim 70 Litre roller is constructed from heavy duty 600D polyester and reinforced where it matters. The Padded grab handles make the roller easy to carry, but why bother? Throw it to the floor, extend the handle and wheel the bag with ease. The poly urethane wheels glide effortlessly on any surface, save your energy for what matters.